Minnesota’s parks, trails and other assorted wild outdoor places have long been celebrated as part of our state’s Great Outdoor heritage. 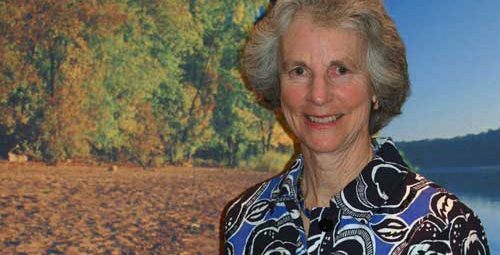 Tonight, we are pleased to celebrate this heritage by honoring the extraordinary work of local outdoorswoman and conservationist Eleanor Winston, who will be presented with the Parks & Trails Council of Minnesota’s highest honor – the prestigious Reuel Harmon Award. Winston is being honored with the award from the state’s preeminent nonprofit parks and trails organization for her more than two decades of accomplishment on behalf of Minnesota’s parks, trails and outdoors legacy. We feel it is only fitting that world-renowned polar explorer Ann Bancroft is here with us to celebrate this remarkable woman. Winston served on the Parks & Trails Council’s board of directors from 1994 to 2008, including as president from 1998 to 2002. She has also served on the boards of The Nature Conservancy (1987 to 1993), the Minnesota Historical Society (1988 to present) and Pillsbury United Communities (1987 to 1996). In 2004, Winston spearheaded a capital campaign that raised more than $2 million so that critical trail and parklands could be protected for incorporation into our state’s world-class system of parks and trails. Eleanor and her husband Fred and their four children, Betsy, Tom, Fred and Nell are all outdoor enthusiasts who enjoy outdoor activities in all seasons. They have planned many family trips around visits to Minnesota’s parks and trails and the Boundary Waters Canoe Area.